Finally, the three months waiting is over. Tiger lovers are now much more enthusiastic to get the opportunity to re-visit the majestic beings of Ranthambore, Corbett and other major sanctuaries of India. On Tuesday, the Supreme Court effectively lifted the ban on tiger tourism in the core area of India’s sanctuaries. The court finally permitted tourism in 20% of the core areas of the nation’s 41 tiger sanctuaries and also permitted the new guidelines issued by the government to regulate tourism. The judiciary bench that comprised of A K Patnaik and Swatanter Kumar said that the tourism activities in the reserve areas would be followed strictly in accordance with the notification on tiger conservation issued by the National Tiger Conservation Authority on October 15. Although this relaxation is feasible for only the small portion of the major tiger reserves in India including the Jim Corbett National Park and Ranthambore National Park. But still a streak of happiness and a sigh of relief have been felt by the officials of the reserves and definitely the golden chance is being welcomed back of tiger tourism. The officials heartily accept this decision and are now on the voyage to start this majestic trip to the dense jungles. 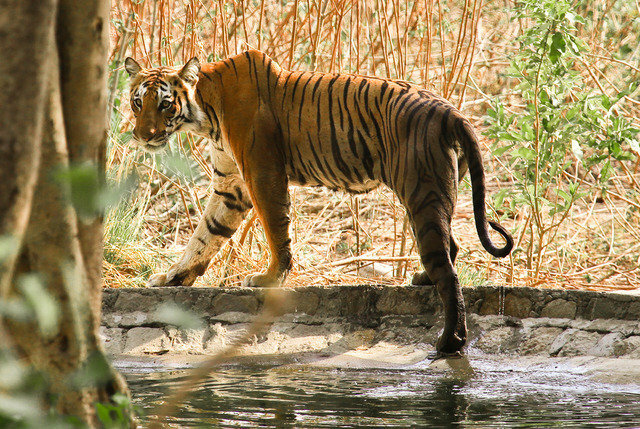 Ranthambore, which is home to almost 34 tigers, recorded a drastic sinking in the bookings and ticket sales when the doors to Ranthambore were opened post-monsoon as per the scheduled timings. One of the senior officials Balendu Singh now expects that the favorable order will bring the pace back to the wildlife tourism. While tiger parks are welcoming this decision, some activists are disappointed with this decision. A Bhopal-based environmental activist, Ajay Dubey says,” It’s a defeat to the entire responsible tourism”. The issues are still smoldering even if it is under the carpet but the most important thing is that we should make a smart and responsible move towards the reserves so that the dignity of the government and the court should be maintained and we can enjoy tiger tourism completely. The major responsibility for today is to follow strictly the guidelines provided by the Indian government.